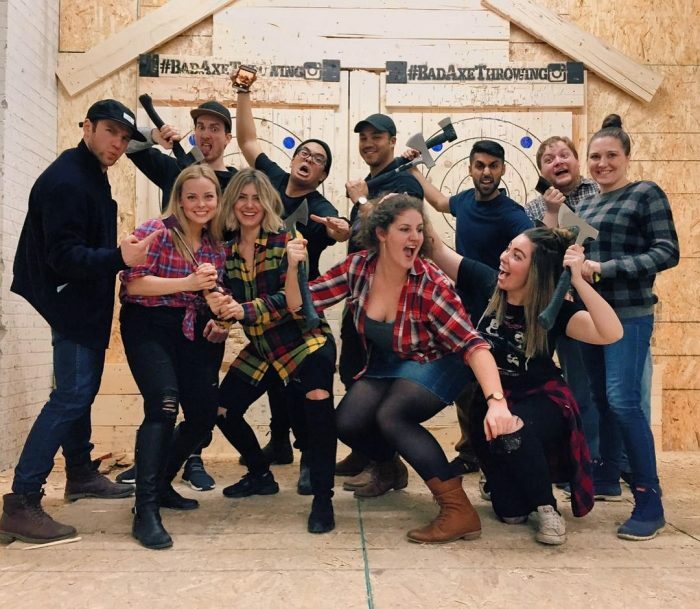 TheToronto Bad Axe Throwing League is surpassing expectations for the new season. The action packed sport has spots filling up fast and Toronto will host more players due to higher amounts of participants. The word is getting out in Toronto. The Axe Throwing League is the thing to do. This spring season couldn’t be happening at a better time in the world of axe throwing. If you haven’t heard the amazing news yet, The World Axe Throwing League (WATL) is making its debut. WATL – the first of its kind, will have a huge influence on how axe throwing leagues will be recognized. In what way exactly? Well, by making axe throwing an official sport. Yes, you read that right. WATL’s goal is aimed at unifying the sport of axe throwing and member organizations will be announced in early April. Bad Axe Throwing is excited to be joining WATL for the launch of Toronto’s Spring 2017 season. League Members will be recognized by WATL and if you win your regions championship, your name will go on WATL’s Hall of Fame. The other great advantage is WATL’s (soon to come) website will keep track of all Bad Axe Throwing League member scores across every location. That way you can really see who your competition is globally. Your dream to be the best axe thrower in the world can finally come true. Join your local axe throwing league. 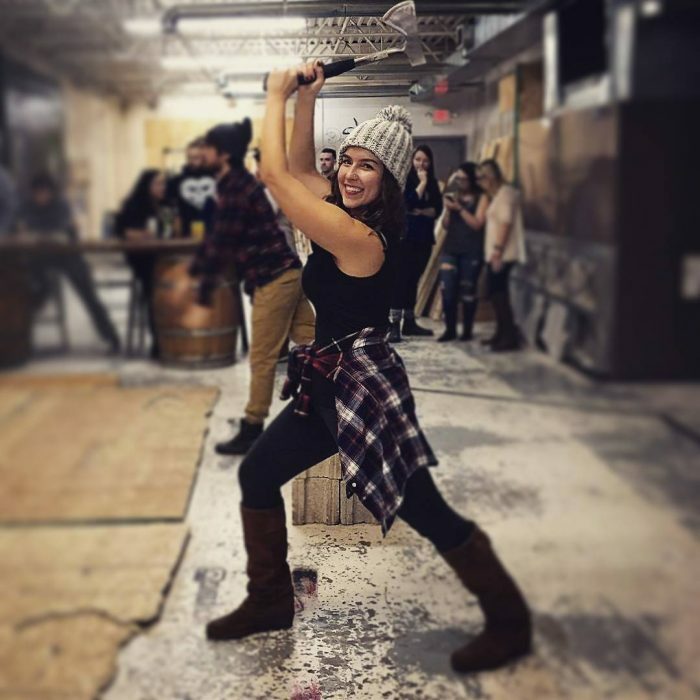 This year, with us joining WATL, the Toronto Bad Axe Throwing League is more popular than ever. Our location has hosted tens of thousands of people since opening our doors opened in the Spring of 2015. It is located in the heart of Toronto, in the Junction area, at 346 Ryding Ave, Unit 201, Toronto, Ont. The location is equipped with three lanes that can accommodate 100 + people which allows for more fun and more competition. Bad Axe Throwing League nights are a great place to develop skills and show off. League nights will fall either on Monday or Tuesday night and will run for 8 weeks. The first 7 weeks will focus on strengthening skills and learning technique. Each week players get 40 throws each, 10 throws per player at a time and 4 rounds in total to tally up an individual score. For the first 7 weeks players will challenge themselves to continuously improve their season’s score. Their overall score will determine their season’s standing and qualifications for playoffs in the 8th week. And you don’t walk away empty handed, each winner gets an engraved axe according to their location, plus some well deserved bragging rights. Leagues are accompanied by talented coaches, so don’t worry, initial training one on one with them and warm up throws will give you all the confidence you need. Bad Axe Throwing Leagues may be a place to throw axes but it definitely isn’t a place to throw your money away. It’s only $15 a week. All previous league members will be given a $20 rebate when signing up for the next season. Plus, week 4 is all about league appreciation – friends and family are invited for FREE and they’ll even order food for everyone. Another wicked bonus on becoming a league member is you get Pro Cards with exclusive offers, such as: free walk-ins, discounts for friends and a frees pass when booking a party. With all these great perks being offered to league members, Toronto is seeing record numbers of participants this Spring. League nights are set to kick off April 10th or 11th. Our Toronto axe throwing coaches couldn’t be more pleased with the response and how fast spots are being reserved. They also don’t want you missing out. Axe throwing has gained an outstanding fan base over the years and while you may be a soccer or hockey fan, throwing an axe and being apart of the league is truly a must do. 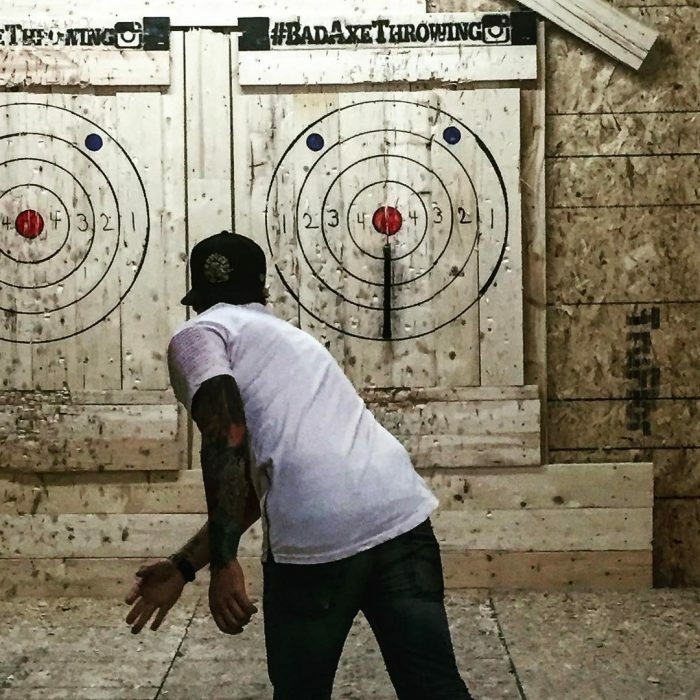 And if Toronto is a little too far, Bad Axe Throwing Leagues are offered at other locations, check them out today.